While it is true that pork and baseball share much in common, and go together like only sweet swine and our nation's past time can, summertime and ball games also beckon for beef. 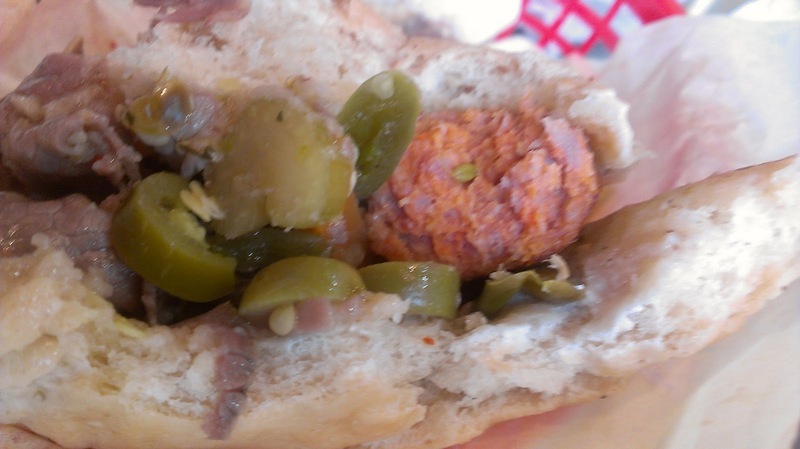 Given that many of you might think I am craving an all-beef hot dog or a big juicy burger is probably part of the reason I have such a hard time finding a beef around here, because they aren't as common as they should be. Still don't follow me? 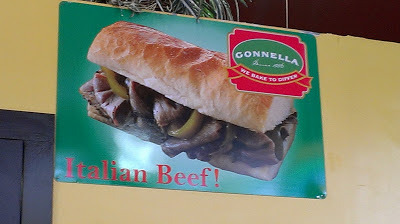 In Chicago, where the beef was born and bred, you say "beef" and mouths start watering, as clearly you are talking about the Italian beef sandwich. Of course, in Chicago most everyone is fat (literally 67% of the population is overwieght or obese according to their own website), so I'm not saying that is necessarily a good thing, but it sure would be nice to find a really great beef in this town, and if it takes adding a few more inches to our collective waistlines, might it not just be worth it? I have had some pretty good beefs in and around Denver but again and again readers have directed me to Mile High Vienna Beef on Santa Fe. For whatever reason I have still not made it down there, but last year they opened up a stand just steps from the ballpark downtown, and now that my boys are of baseball-going age, we ended up there a few weeks into the season. 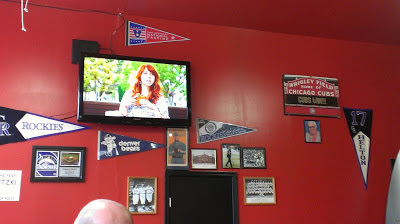 Judging on appearances, mile high Vienna has everything it needs, which is to say, it s pretty plain looking-- just some sports memorabilia, a TV and a big menu board. Beef requires nothing fancy, and in fact it probably is safe to say that its good taste is inversely proportional to the fanciness of the place where it is served. Based on this science-like fact, I was looking forward to my first Mile High beef. We ordered dogs for the kids which were pretty straightforward. I didn't try them, as I was here for bigger and better things. My wife was apparently ready for even bigger things than me, though I'm not sure it was better. 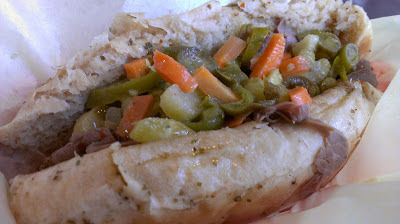 That is a picture of a large Italian sausage under a full sandwich's worth of Italian beef. The picture does not do its size justice, and I don't think any picture would really give you the full experience. In order to really understand what it was like, you only had to listen to my wife's groaning and moaning after eating only half of this monstrosity. I, on the other hand, for once in my life, ordered somewhat responsibly, and stuck with a simple beef with hot peppers. It was a decent beef. The meat was tender, the giardiniera hot, the bun thoroughly soaked, and it had a nice, full, beefy taste. One of the better I've had in Denver's city limits. I'm not so hung up on finding a perfect beef any more in Denver, though with all the Chicagoans that continue to move here en masse, and the Chicago-style pizza joints that have recently opened (and on my radar), I wouldn't be surprised if a really great beef comes along soon. 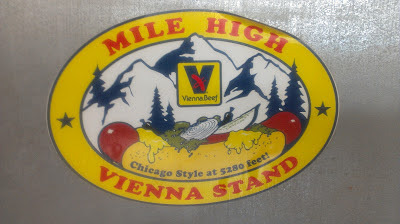 Until then, Mile High Vienna Beef will do the trick though I think I'll be trying a few Chicago dogs next time I am there.